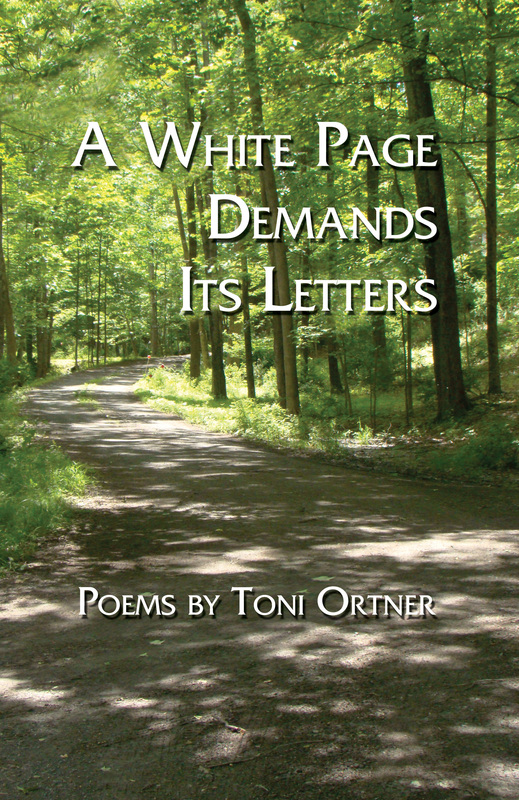 In A White Page Demands Its Letters, Toni Ortner records the pain of divorce and other loss. The poetic cycle, Dream Sequence, placed here in chronological order, has a raw intensity that strikes the reader like a knife in the heart. The poet must invent a new self in order to survive. 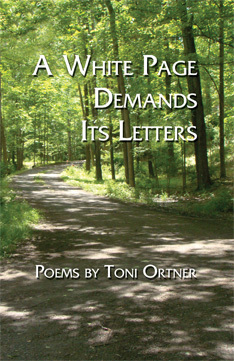 The book is a sequel to Traveling, a Perspective, published by Kelsay Press. I switch frantically to form new connections. The pauses in my speech are remnants of a pure language whose notes the instrument tongue can no longer speak. For one entire year I pretended you were dead. Grief lighter than a leaf falls into the sun.